Reuse is your best bet for brooms and mops. 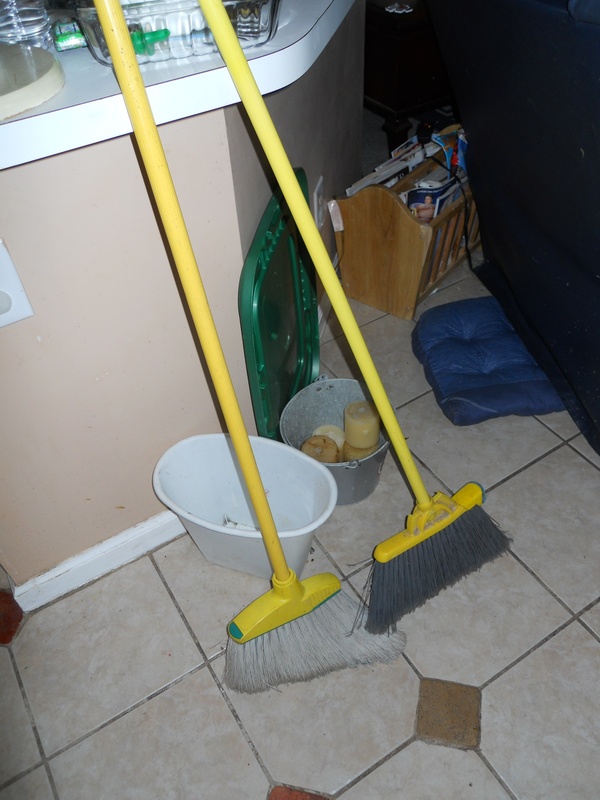 If your used brooms and mops are in good condition you can donate them to animal shelters. Once they are completely used up, check out eHow for practical uses for the broom straw and handle. This entry was posted in Brooms & mops, Think Outside The Bin and tagged brooms, Brooms & mops, mops, postaday2011, recycle, reuse, reuse brooms and mops, think outside the bin. Bookmark the permalink.